“Turn Off Search Tracking” is the PUP that uses misleading techniques to prevent removal. Use Reimage to locate malicious components and get rid of them faster than with uninstall instructions. A full system scan blocks virus reappearance and prevents traffic to malicious domains. 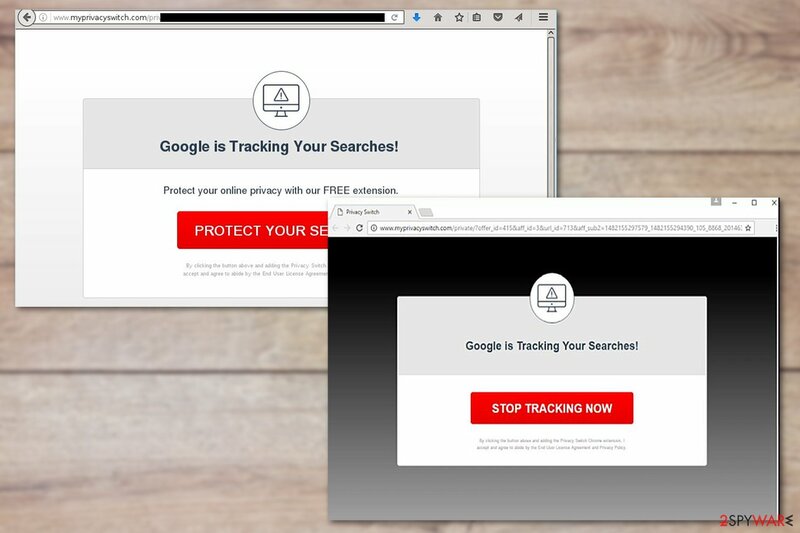 “Google is Tracking Your Searches” virus is a term that users tend to use when describing the unwanted pop-ups that start showing up on their web browser. The users are right about one thing — these pop-ups are not trustworthy and most likely signal that your PC has been infected by a sneaky adware  virus. Naturally, adware victims are unaware of that. They do not give consent to the adware entering their computers. People may have downloaded a freeware carrying a malicious file unknowingly when visiting shady websites. We’ll expand more on that later. But first, let us look closer to how this adware infiltrates computers and why it does it. If you are here for “Google is Tracking Your Searches” removal instructions, you can simply skip to the end of the article where you will find all the necessary information. The main reason why Google is Tracking Your Searches virus infiltrates computers, is advertising. While the notification supposedly tries to protect you from Google tracking , its real intention is to make you install Privacy Switch software on your computer. The “STOP TRACKING LINK” will redirect you to Privacy Switch download page and ask you to replace your Google search engine with Privacy Switch one. You should not do that, of course, as it may put your PC in danger. 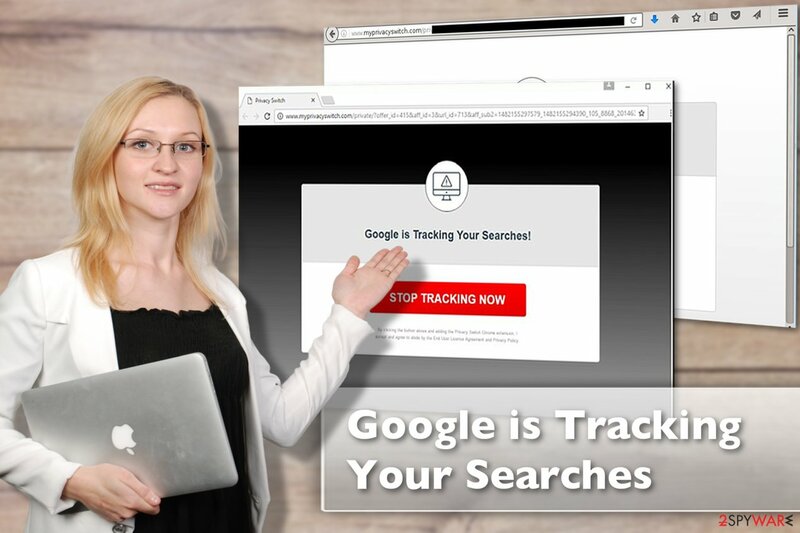 You should remove “Google is Tracking Your Searches” without much consideration. We recommend using Reimage or similar software for this purpose. According to the statistics, the Privacy Switch site is most popular in USA, Brazil, and France , so we can presume the advertising of this site is more intensive in these countries as well. Keep that in mind and stay protected! A malicious payload may be installed on your PC after accidentally visiting infectious websites or interacting with infected download buttons. The mentioned techniques are the primary ways “Google is Tracking Your Searches” adware spread around. You should keep in mind that without proper protection and careful behavior online, you become much more vulnerable to all sorts cyber infections. Adware may tempt you with anonymous and untracked web browsing experience, but you should remember that it is only an attempt to draw you into the circle of online advertising. If you ignore it or, worse, agree to install the promoted software, you will not only have to remove “Google is Tracking Your Searches” virus but possibly deal with a bunch of other problems. Quick “Google is Tracking Your Searches” removal will help solve these issues. Just act quickly, obtain a reliable PC scanning utility and scan your entire system with it. Here, look for “Turn Off Search Tracking” or any other recently installed suspicious programs. Wait until you see Applications folder and look for “Turn Off Search Tracking” or any other suspicious programs on it. Now right click on every of such entries and select Move to Trash. When in the new window, check Delete personal settings and select Reset again to complete “Turn Off Search Tracking” removal. Reset your Microsoft Edge to eliminate the remaining virus features from your PC. Once these steps are finished, “Turn Off Search Tracking” should be removed from your Microsoft Edge browser. Here, select “Turn Off Search Tracking” and other questionable plugins. Click Remove to delete these entries. Now you will see Reset Firefox to its default state message with Reset Firefox button. Click this button for several times and complete “Turn Off Search Tracking” removal. Reset your Google Chrome browser following the below-presented instructions. Here, select “Turn Off Search Tracking” and other malicious plugins and select trash icon to delete these entries. Click Reset to confirm this action and complete “Turn Off Search Tracking” removal. Here, select Extensions and look for “Turn Off Search Tracking” or other suspicious entries. Click on the Uninstall button to get rid each of them. Now you will see a detailed dialog window filled with reset options. All of those options are usually checked, but you can specify which of them you want to reset. Click the Reset button to complete “Turn Off Search Tracking” removal process. 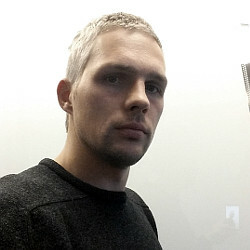 ^ Jonathan Lemonnier. What is adware & how do I get rid of it?. Avg. AVG Signal Blog. ^ Matt Elliott. Is Google is tracking you? Find out here. Cnet. Product reviews, how-tos, deals and the latest tech news. ^ Lesvirus. Lesvirus. Malware news, reviews and removal instructions. This entry was posted on 2017-07-24 at 06:58 and is filed under Adware, Viruses. You can quickly scan the QR code with your mobile device and have “Turn Off Search Tracking” ads manual removal instructions right in your pocket. How did you remove “Turn Off Search Tracking” ads?